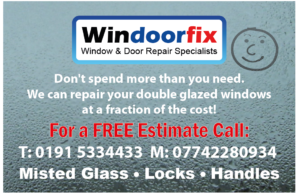 Highly Experienced Window Repair Specialists based in Sunderland & Durham. Windoorfix window repair teams carry out all types of double glazed window & door repairs in Sunderland and across the North East. 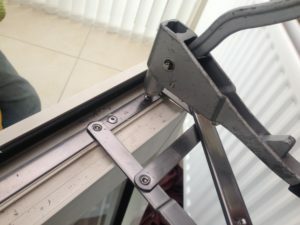 Services we provide include including fitting replacement parts such as new door repair handles, window handles, door locks, window locks and Hinges. Our mobile window repair vans carry a wide variety of double glazing window and door parts and carry out most repairs on the spot. 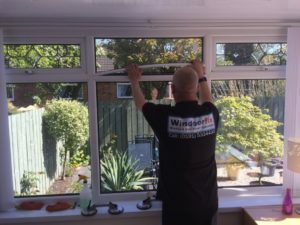 Whether your Double glazing or glass sealed units have misted up or broken down completely we can normally replace them within two to three days after being surveyed. Although most of the window repair work we carry out in the Sunderland & Durham areas is for private home owners, we also carry out commercial door and window repairs for landlords, housing associations, estate agents and other local businesses. The majority of calls we receive are for Upvc door & window repairs but we also repair aluminium & wood windows & doors. We also provide a 24 hr boarding up service in Sunderland & surrounding areas. So whatever your problem, no matter how big or small, call us today for a fast, friendly and efficient service. If you receive one of our drop cards, check out our offers page and automatically qualify for the latest offer! *Please show our fitter this card when you have a FREE ESTIMATE to qualify. Sunderland – Whitburn – Durham -Newton Hall – Houghton le Spring – Chester le Street – Newcastle – Gateshead – South Shields – North Shields – Hetton – Herrington – Shiney Row – Penshaw – Bournmoor – Chester le Street – Great Lumley – Penshaw – Birtley – Stanley – And many more….. Call us today! Look Out For Our Ad in Checked & Vetted!